Interestingly I never believed in this Top 10 thing but while I was travelling in Thailand, I was searching such posts for different place. Certainly I consulted multiple blogs to decide what aligns with my interests but I found it useful. 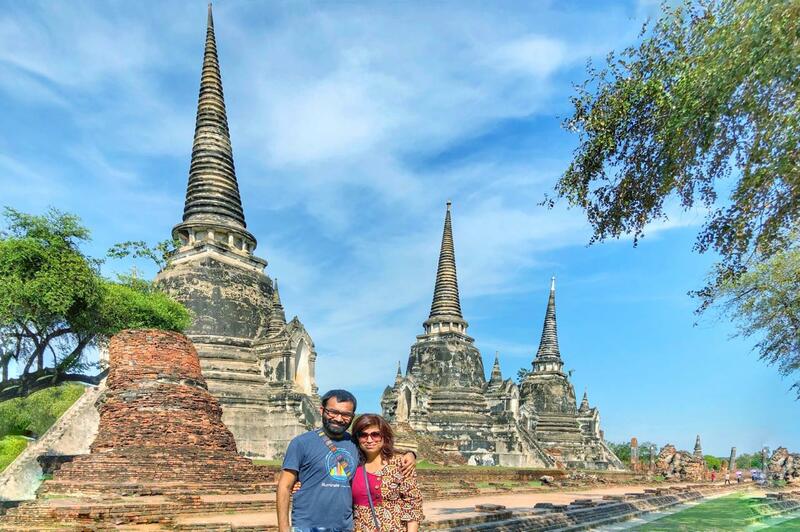 Through this post, I am going to share about main things to visit in Ayutthaya, activities to do, why Ayutthaya is great place for shopping, currency exchange tips, tips for cheap commute within & around the city etc. 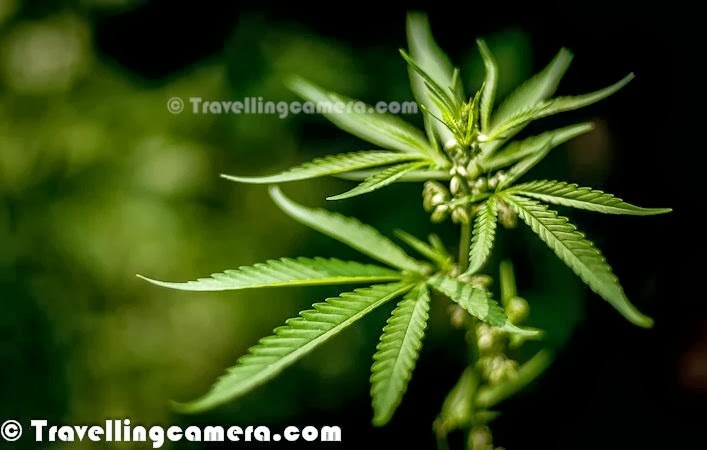 This post shares lot of Travel Hacks for travelers and backpackers visiting this beautiful city in Thailand. It's most debated topic if one should spend a night in Ayutthaya or plan a day trip from Bangkok. 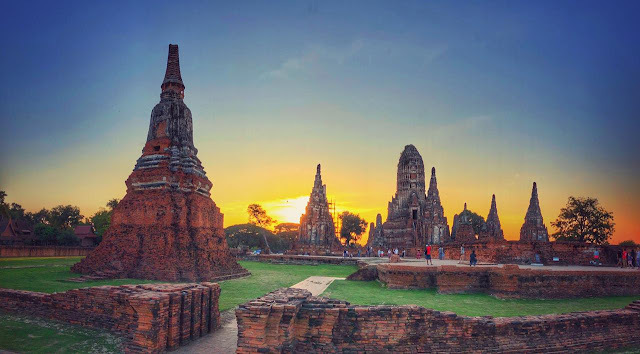 You heard it right, one can go to Ayutthaya in a day and come back to Bangkok to enjoy an interesting night at Khao San or other interesting night markets or pub streets in capital city of Thailand. Ayutthaya is also a UNESCO World Heritage city of Thailand and worth visiting. 1. 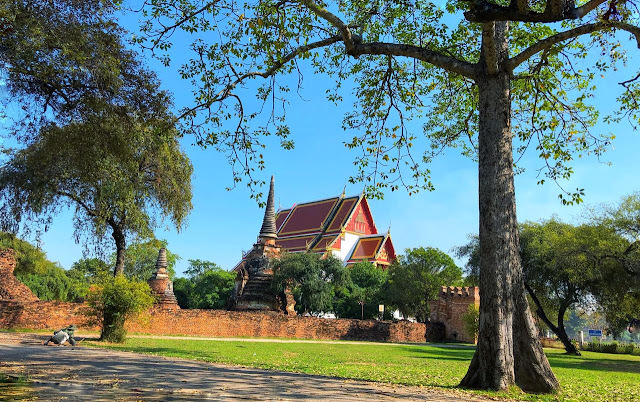 Wat Chaiwatthanaram : That's one of the most beautiful temples in Ayutthaya although it's a little away from the main cluster of temples and situated on the bank of the Chao Phraya River, which is essentially outside Ayutthaya island. It is one of Ayutthaya's best known temples and a major tourist attraction. 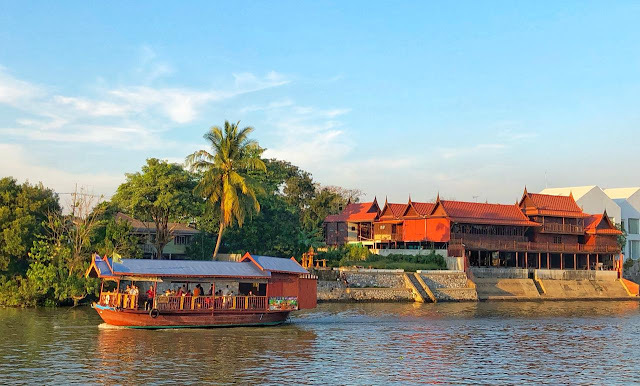 Most of the boat tours in Ayutthaya cover this temple and the place looks even stunning during sunset time. 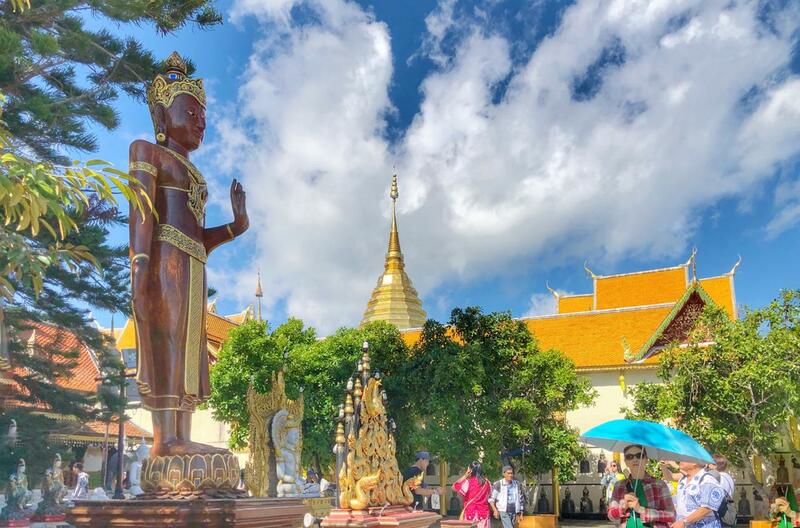 Phra Buddha Sai Yat is located west of the Royal Palace. It is part of a park that includes three restored ruins including Wat Worachet and the original Wat Worapho. There is a small side alley leading to it as well as a newly constructed road. Reclining Buddha is 37 meters long and 8 meter high. Read it again and try to imagine the size :). Now look at the photograph above and compare the size of Budhha with height of people walking around. The reclining Buddha image is aligned to a north/south axis, and it is facing west. All the Buddha’s toes are of equal lengths. The arm supporting the head is vertical, instead of being folded as in the Early Ayutthaya and U-Thong periods. This vertical arm is a characteristic of reclining images made in the Middle Ayutthaya period - after the 16th century. 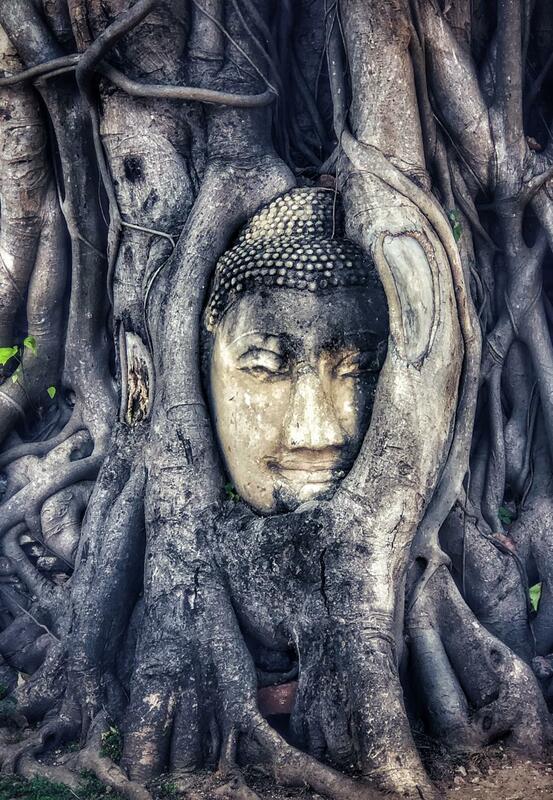 Wat Maha that, which is that famous temple where you can see the Buddha's head embedded in a Banyan tree. There are several Buddha statues here in this Wat - many whose heads have fallen off. It is said that one of these missing heads over the years got trapped in a Banyan tree growing around it and came up as the tree grew. It is indeed a beautiful sight to behold. But is smaller than what it appears to be in pictures. 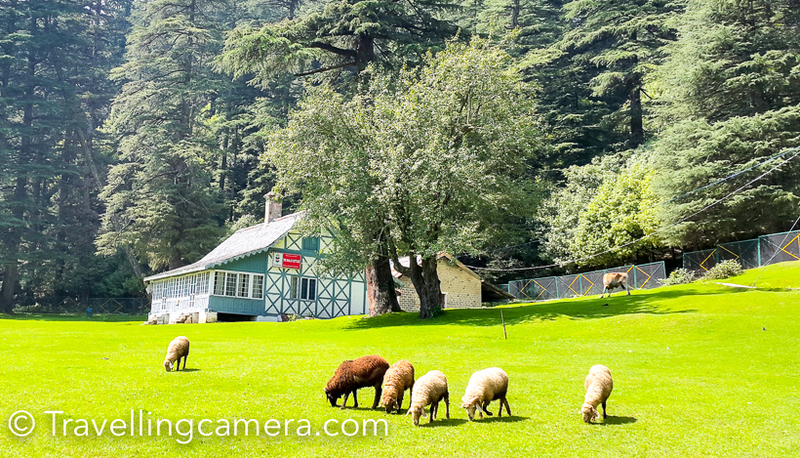 In fact, chances are that you will find a crowd around it getting their pictures clicked with it, otherwise you could easily miss it. 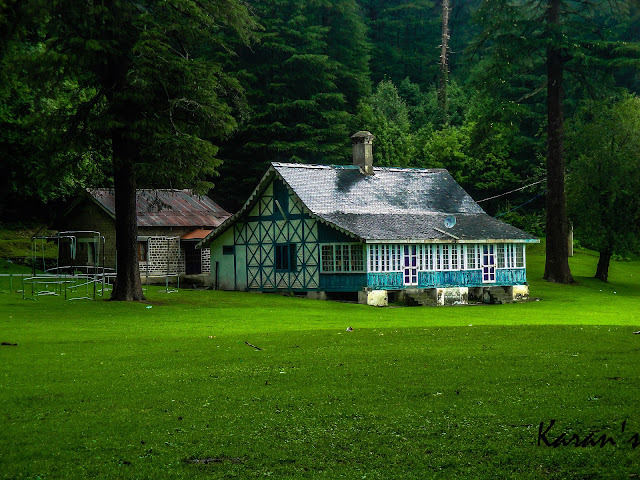 Apart from the head, the temple is otherwise beautiful too. We spent around 20 minutes here and then moved on to our next destination - Wat Phra Ram. Wat Phra Si Sanphet was the holiest temple on the site of the old Royal Palace in Thailand's ancient capital of Ayutthaya until the city was completely destroyed by the Burmese in 1767. It was the grandest and most beautiful temple in the capital and it served as a model for Wat Phra Kaew in Bangkok. Wat Phra Si Sanphet, which stands out from the rest of the temples because of its three magnificent stupas that are extremely photogenic. They are some of the most photographed structures in Ayuthhaya. 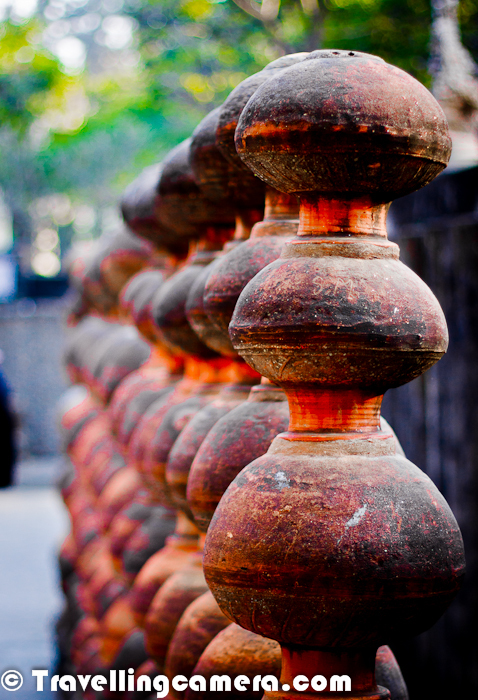 While we were exploring these temples, we were also aware of our stamina that was running out. But we still wanted to see the reclining Buddha temple and decided to walk towards that. Boat tour takes you through various temples of river bank and this river is around main Ayutthaya town. They charge 200 Baht per person and can be booked through your hotel reception. They provide free pick/drop from hotel to the port from where you need to board the boat. It's pretty good experience for evening when you enjoy sunset views around the river. 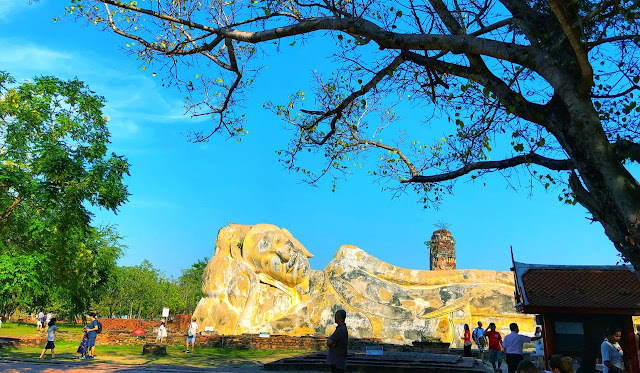 It's also comparatively relaxing journey in comparison to all the walking you would usually do in Ayutthaya Heritage Park. Ayutthaya Historical Park was declared a UNESCO World Heritage Site as an excellent witness to the period of development of a true national Thai art. The sites protected as UNESCO World heritage site are Wat Ratchaburana, Wat Mahathat, Wat Phra Sri Sanphet, Wat Phra Ram, and Wiharn Phra Mongkhon Bopit. 7. Ayutthaya Night Market to enjoy local Thai Food. This night market of Ayutthaya is tiny, when compared to Chiang Mai's night market and also compared to the night market at Siem Reap and even the little one in Phnom Penh. Most of the stalls in this market are food stalls. And this was exactly what we needed. Food. Most of the places here were selling snacks that we would have to munch on as we walked. But we were in a mood to sit and eat. Very soon we came across a food truck that had some seating arrangement in front of it. We ordered a Pad Thai and a rice dish, and also ordered some beer - the local Chang. We discovered that though we were walking a lot, and felt really hungry, but when we started eating, we were satiated quite quickly. This may be because the heat was forcing us to drink a lot of liquid. Aayutthaya night market is not as big but awesome for food, so have your dinner there. This temple is very different in comparison to other temples in Ayutthaya Historical Park. This is rebuilt and has a huge golden Buddha. While you are walking around these temples, this temple has provision of water for folks visiting and there is area in shade to relax a bit. Make good use of this opportunity to refill your water bottles and relax. This is very close to Wat Phra Sri Sanphet. Beyond this, I don't think I want to add 2 more things forcefully. Having said that Ayutthaya has lot to explore if you are especially interested in history and architecture. Train : Train is one of the most convenient way to reach Ayutthaya from different tourist places in Thailand like Bangkok or Chiang Mai. There is overnight train from Chiang Mai to Ayutthaya and 1 hr ride from Bangkok to Ayutthaya. 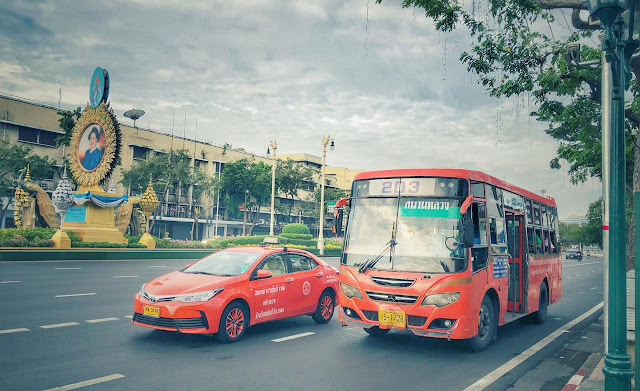 In Bangkok, train leaves from Hualamphong Station in the city center and train can also be caught from DKK airport if you are flying from some other city & want to go directly to Ayutthaya. We took train from DKK airport station and it costed us 20 THB per person. When you reach Ayutthaya, you can jump on a tuk-tuk to go around the city for 60THB. Added advantage of Train journey is beautiful views of Thai landscapes full of paddy fields & coconut trees. MiniVans : There are buses that leave from Mo Chit Station at 30 minutes frequency. It takes about 90 minutes to get to Ayutthaya. Use Google App to figure out how to reach this station. The bus ticket price is 70 baht per person. If you have big bags, you are supposed to pay for the same according to extra seats your luggage occupy. 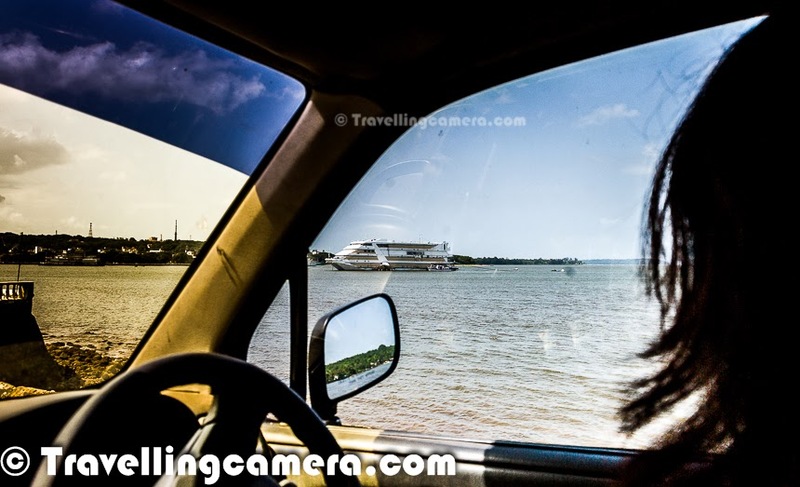 Taxi : One can take taxi from Bangkok for 800-1000 THB and if you want to plan out whole day with the taxi and come back to Bangkok, that may cost somewhere around 2000-2500 THB. Within Ayutthaya, one can hire a Tuk-tuk to move between different places of interest and this is certainly a good option if you don't want to walk a lot or don't want to ride the bike.